This week went by way too fast and we are not ready to leave. We are heartbroken that today is our last day but also hopeful that we will return to follow-up with these women’s businesses and deepen the friendships we formed. 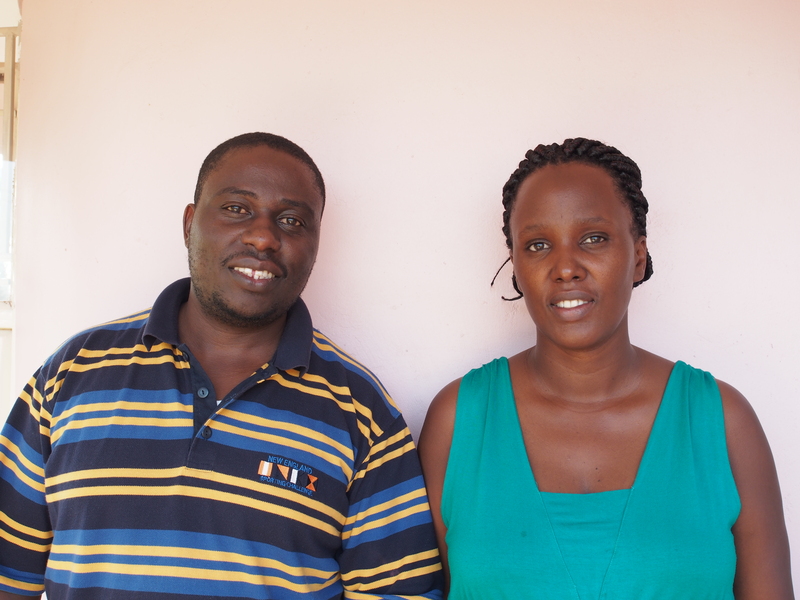 The past few days Alan and Grace have been working on individual business contracts for the six women. These lay out the specific loan amounts and logistics for the system of the loan and repayment. Ammabel approved of the contracts last night and today we will have our last meetings with the women where they will sign contracts and begin their efforts in beginning their businesses. We arrived at Ammabel’s home early this morning to spend some time with her 4 young boys before we got into business stuff. We attempted to play soccer and made an “American” apple pie that we had been promising them all week. It is crazy how close we can feel with a family after only spending one week with them. They are truly one of the most righteous families we have every met. After eating the delicious pie the women arrived and we met with each of them individually. We explained the contracts and they all signed them with smiles on their faces. It was a surreal moment for us as we watch each women sign and begin this journey that could change the course of her life. We really didn’t have to do much. The Lord was so faithful and directed our steps the entire way. All six women are extremely bright and talented. We are certain that they will follow through and have successful businesses. We headed home with tears in our eyes, filled by the Holy Spirit’s guidance and provision. We had a restful last day in the beautiful city and caught our 1am flight back to the US. We are so thankful for all the prayer and support we received for and during our trip. Everything went better than we could have expected and we are so excited to continue working with Ammabel, Grace and the 32 women. Becky Collier will be interning with EN this next semester and can answer any questions and respond to any comments that you may have. We woke up this morning anxious and excited to meet with the 6 women chosen by Ammabel to start businesses. Before we go into the business planning, we gave gifts that had been donated from friends and family to all 32 women. We wanted them to know how loved and valued they are even if they are not one of the six women who will be starting a business. Joy filled Ammabel’s home as they shopped through the assortment of clothes, shoes and purses to pick out exactly what they wanted. All 30 women have been going through a series of business and savings training the past couple of months. This training was given to us by one of our business professors who has helped start many micro-finance businesses in Haiti and Indonesia. Ammabel did a wonderful job going through all of the training with the women and encouraging each woman to create a well thought out business plan laying out their specific proposals. 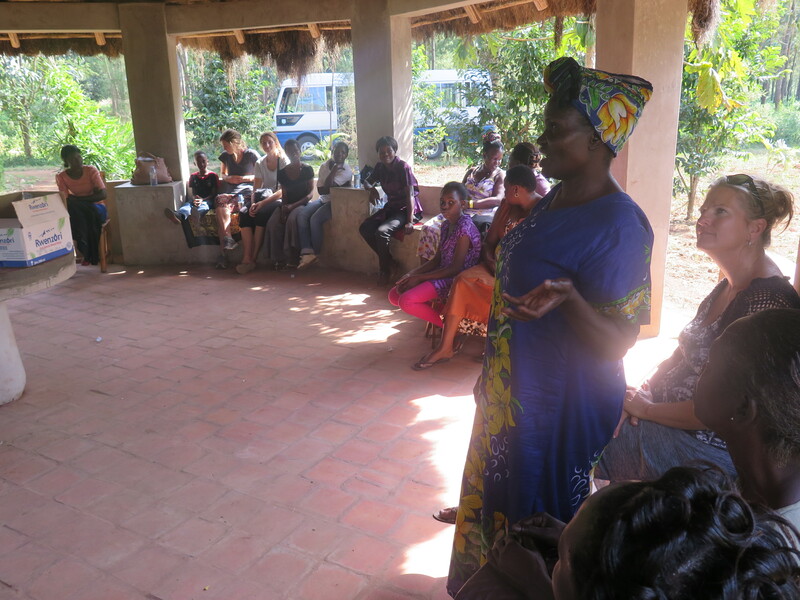 Prior to our arrival, Teresa (one of our team leaders) met with each women individually to hear their story and vision for a future business. 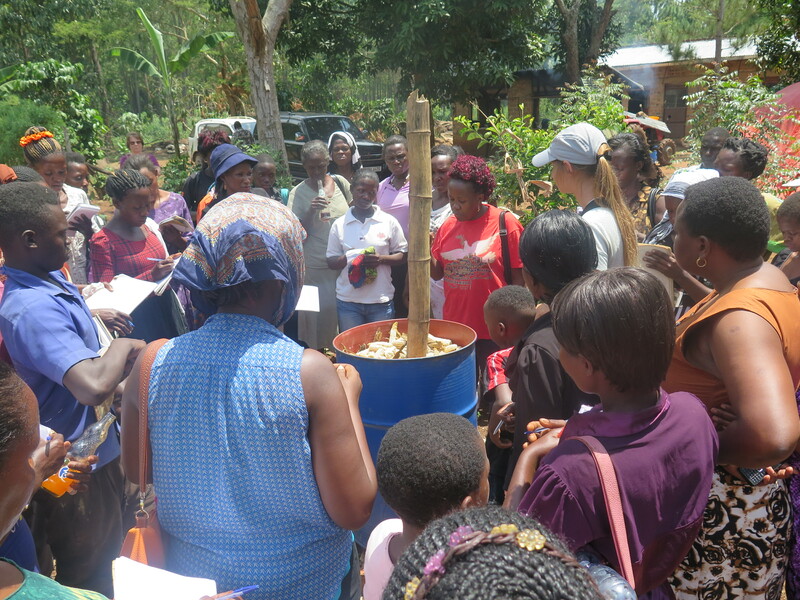 We were absolutely astounded by the time and energy that these women had put into their business/savings training and plans. 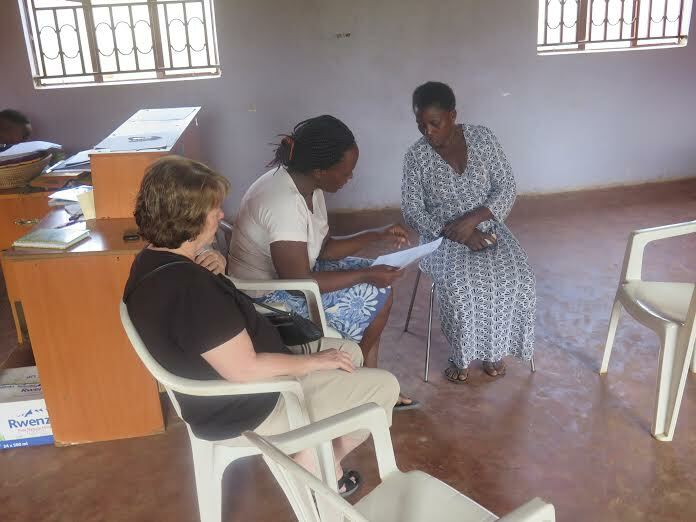 Ammabel and Theresa picked 6 women who had a clear and concise business plan and who they felt were trustworthy, diligent and faithful to the EN program to be the test pilots for the savings accounts and micro-loans. We were a bit hesitant at first to have 6 women begin businesses but after praying and looking over their plans and observing their drive and motivation, we are very hopeful that they will start successful businesses. All 32 women already have a group savings account and system in play, however the 6 women who will be given loans are required to have an additional, individual savings account. 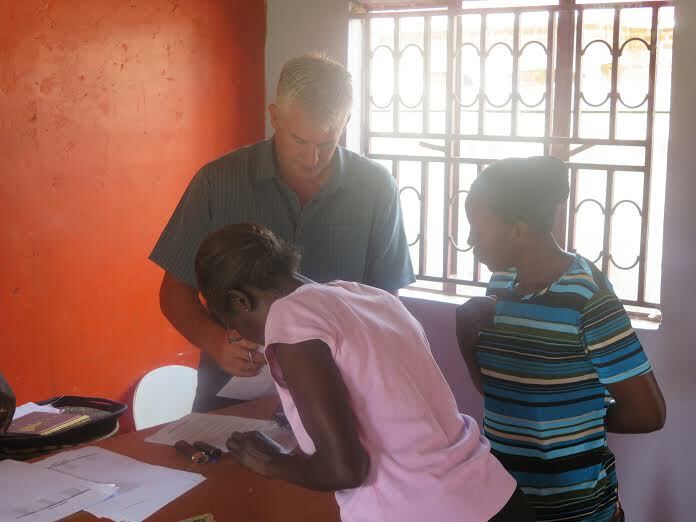 The plan is that once the loan is paid off, the money will then be given to another woman in the EN program. Because of the women’s close-knit bond, this concept will give the women further motivation to pay the loan off as quickly as possible. We left Ammabel’s home with our hearts very full. Avery and I had a fun night out with Grace. She took us to a pork joint where we laughed, ate amazing and slightly sketchy food and heard more of her beautiful story. The Lord is really doing a mighty work in this place and we feel blessed to be a part of it. This morning we had the privilege of visiting one of Brian’s (Ammabel’s husband) free dental clinics. 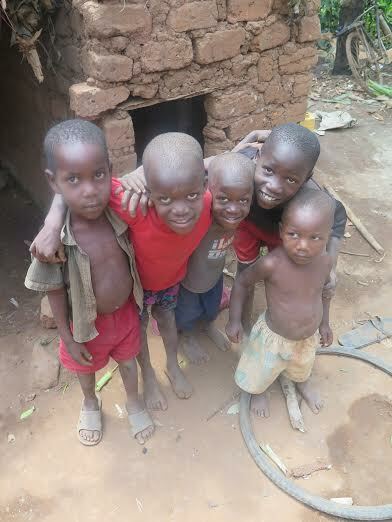 Brian is a dentist with his own clinic, RUN Dental which supports his wife and four sons. 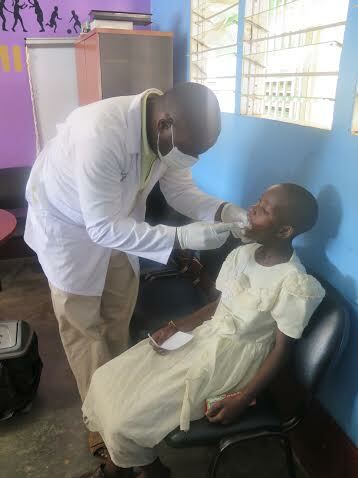 He also volunteers his time to give free mobile clinics to patients who cannot afford dental care. The clinic we visited was in association with Alive Medical Services which holistically treats 12,000 HIV adults and children. This clinic was specifically for HIV children. 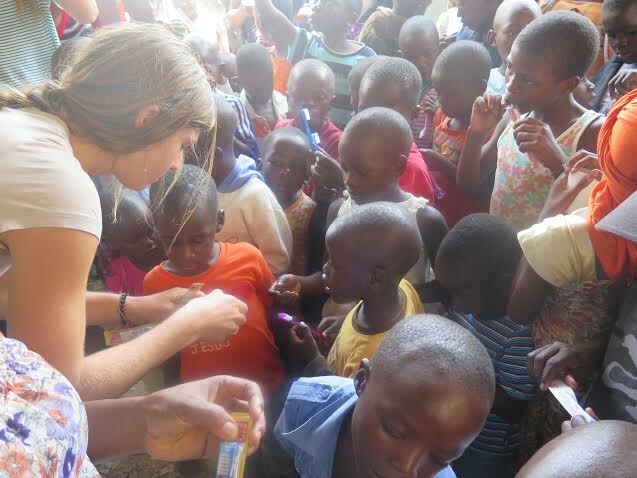 Brian gave lessons on dental health and brushing, provided each child with a free toothbrush and gave individual consultation and treatment to each child. This was an incredible service and we were inspired by the beautiful work Brian does for the Kingdom. Brian has been a huge help to the 32 women who are part of Empowering Nations as he has helped each of them with teeth replacement and preventative care. 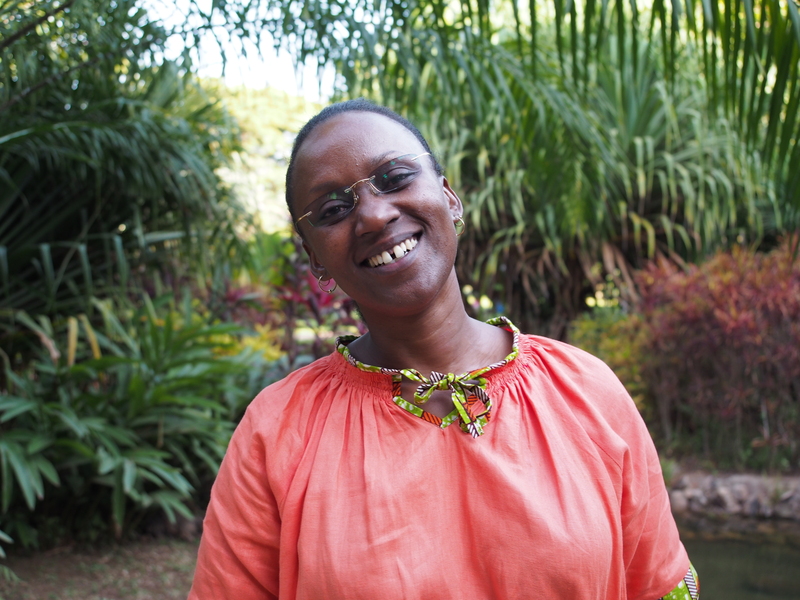 Malnutrition from mouth sores is one of the leading causes of death among HIV patients which is why Brian’s work is so impactful to the EN women and the surrounding community. 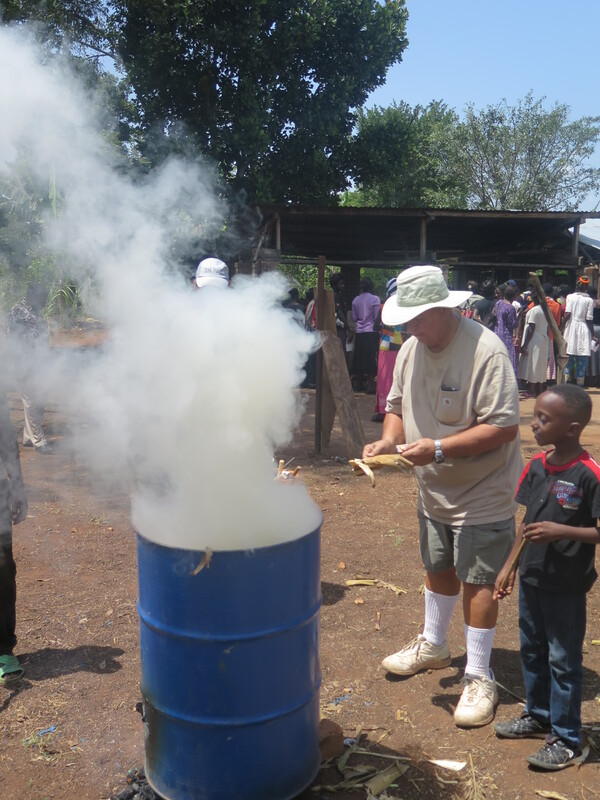 His goal is to open a community dental clinic on his property to bless the needy in his community. After the clinic we walked around the market place to look for business inspiration and make some random Ugandan purchases. We ate some traditional food for the fourth time in a row and then headed back to our hotel for a time of prayer and preparation for the next day. 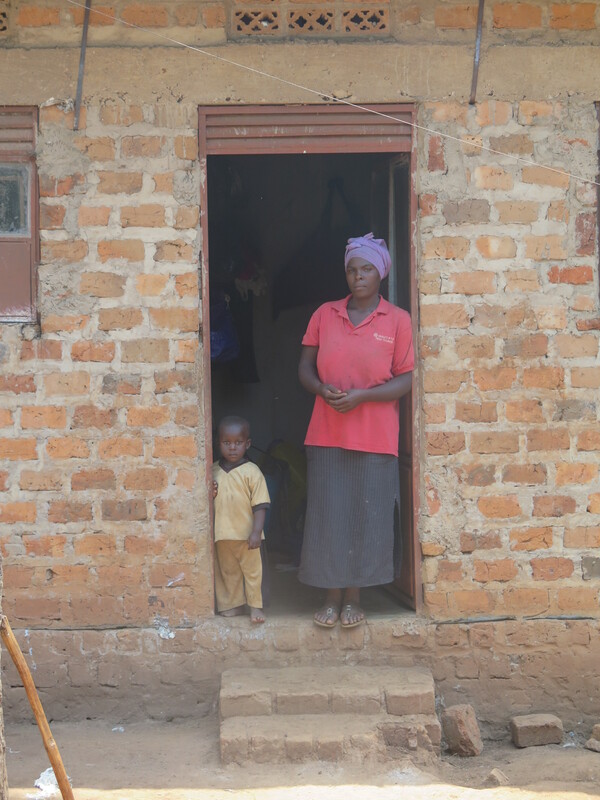 Today we headed to Luwero to visit Grace’s farm which we will be partnering with to support the IGNITE businesses. 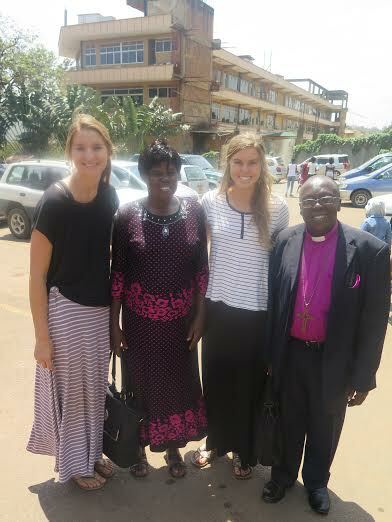 This was a unique opportunity for the women as they are not usually able to travel outside of Kampala. 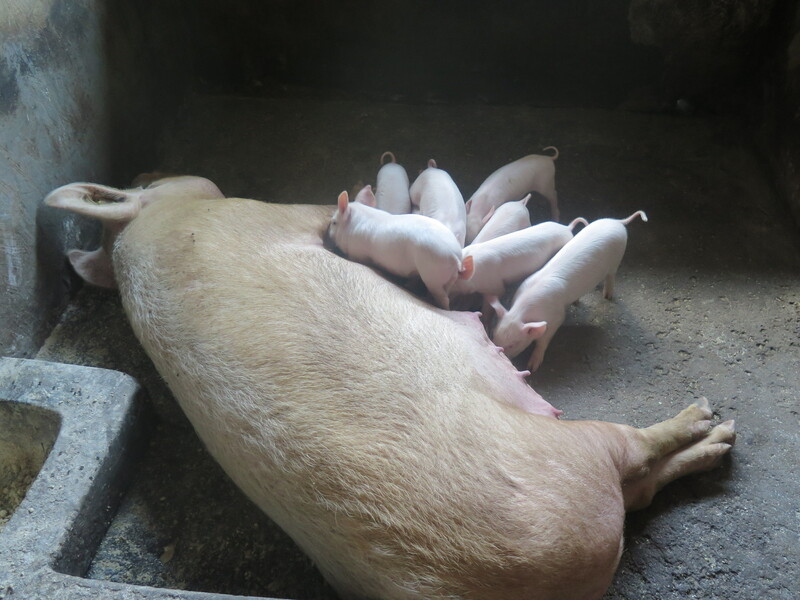 They were inspired by the sustainable farming practices and encouraged to see a women managing a successful farm on her own. 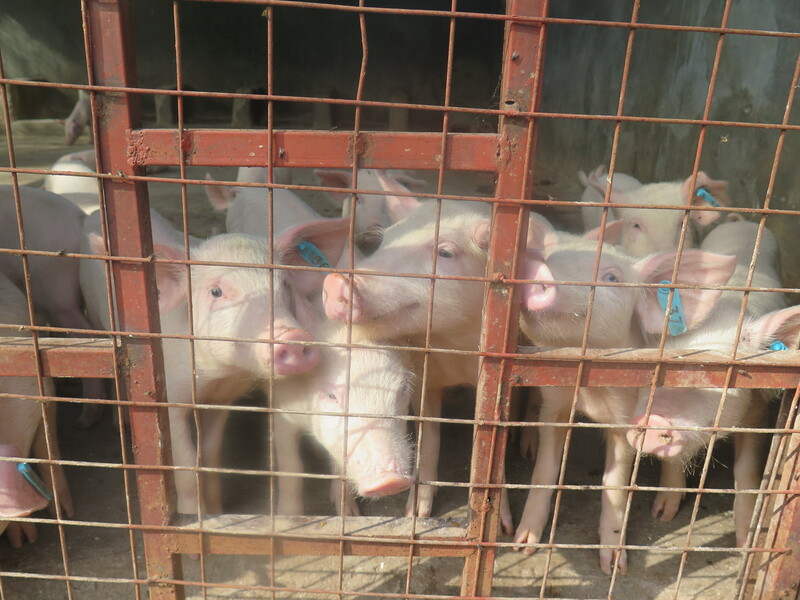 From the piggery to the banana plantation to the free range chickens, we were blown away by the incredible work being done! It was very reassuring to see the local Ugandan’s running such a successful farm and knowing that the women would have access to the products for their own businesses. One of the most exciting parts of the day was arriving to see all the workers prepared and eager to begin learning the Eco-Coal process. A 20 ft. pile of agricultural waste, a 15 lb. 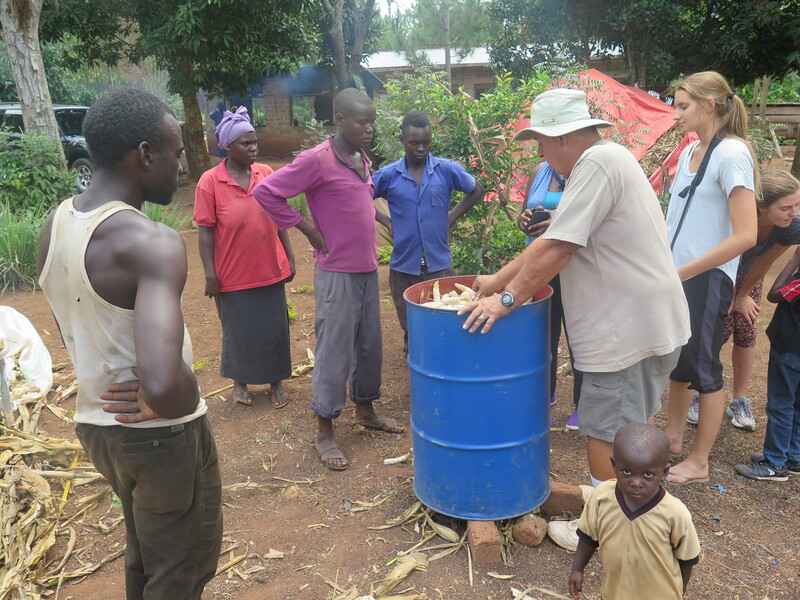 bag of cassava flour, 5 pre-made presses, and a 55 gallon drum were all ready to go when we arrived! 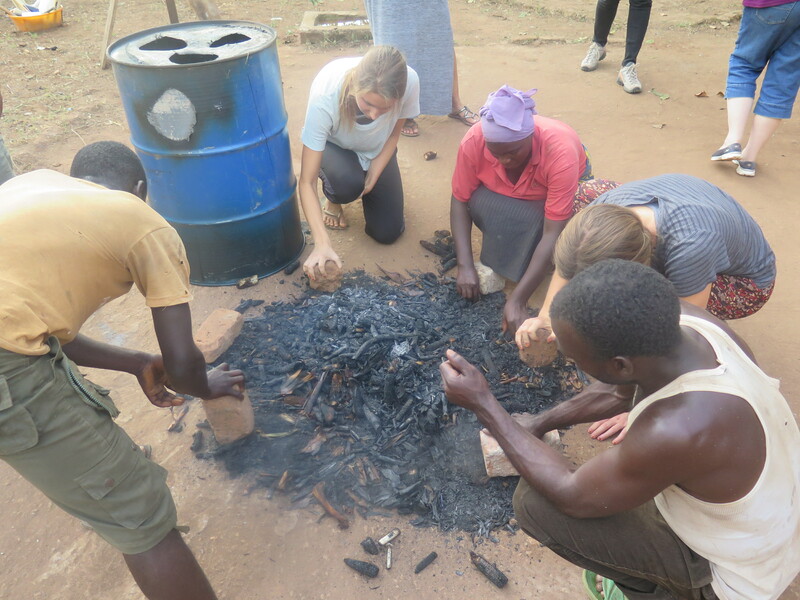 The locals gathered all the material and Neal, our Oklahoma coal master helped prepare the drum a week before we arrived. All we had to do was explain the process (Thank you Avery!) The plan is to have the workers on the farm make the coal to sell to the women at a low price. A few of the women will then sell this in the market at a higher price along with other produce from the farm. 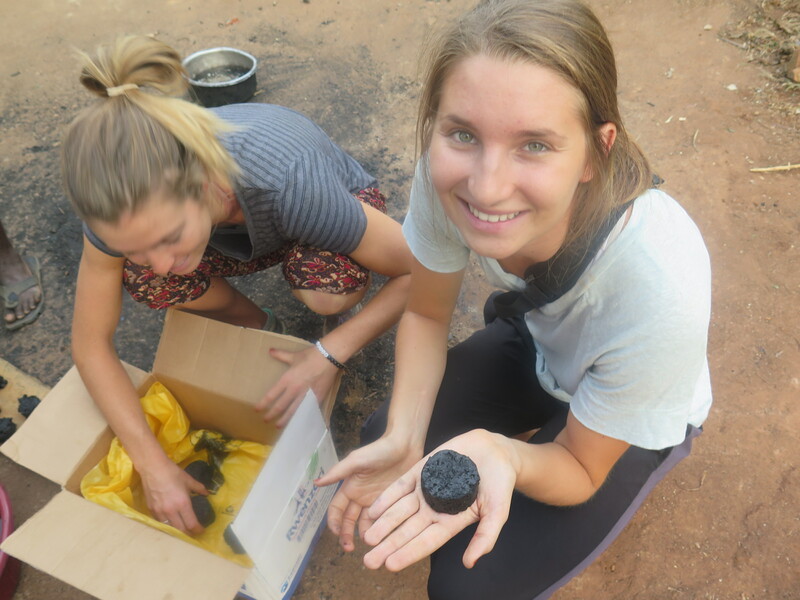 This is a win-win process because it provides jobs for the farmers, improves the women’s income, is better for their health and helps reduce deforestation (hence the name “Eco-Coal”). 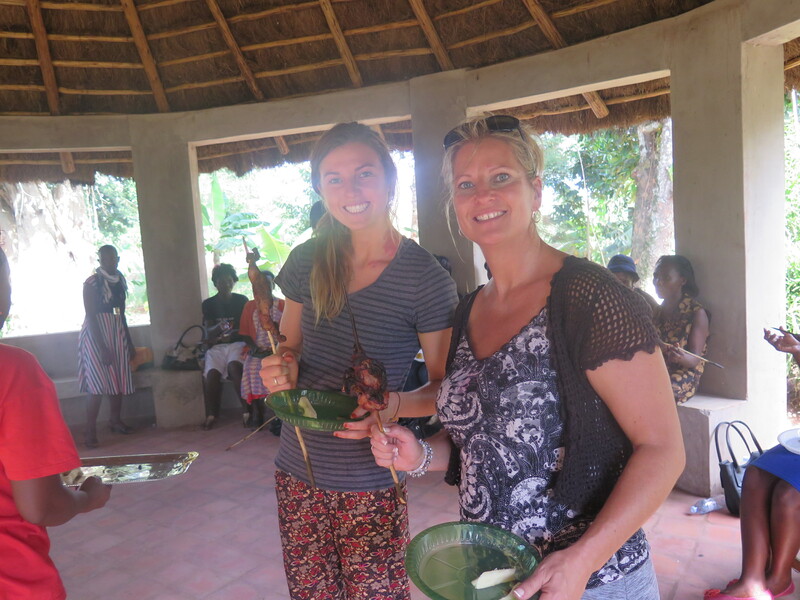 After enjoying one of Grace’s juicy pigs on a stick (Sorry Rafael…), the women went around and with tears in their eyes shared what they had learned and how inspirational Grace had been to each of them. They sang and laughed the whole way back to Kampala. 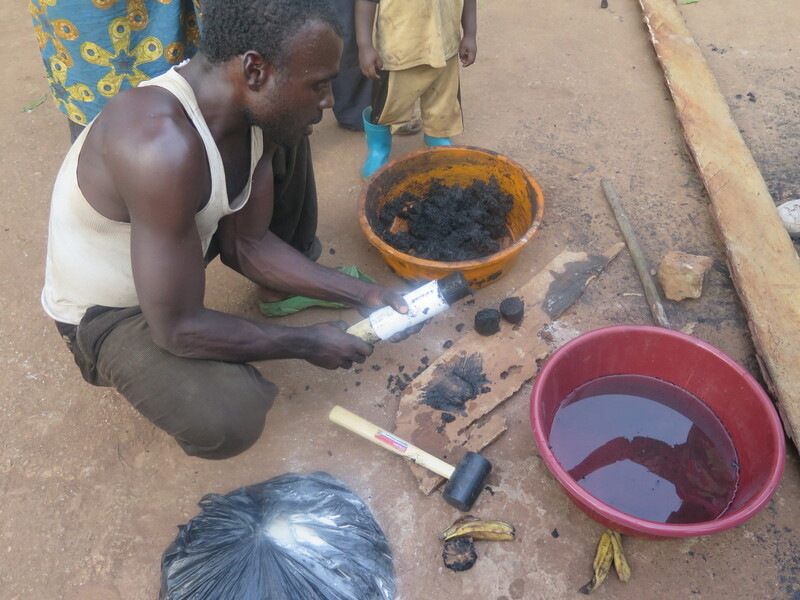 After the barrel cooled, we watched the workers complete the charcoal process and we rejoiced as we successfully held our first batch of Eco-Coal! The Lord so clearly prepared the way for us and we are blown away by the numerous blessings and grace that have been poured out over our trip!